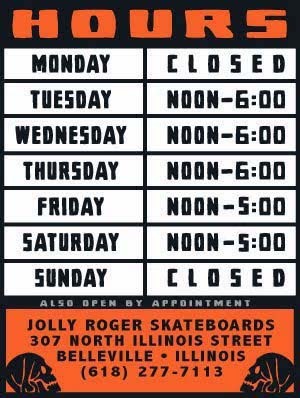 Jolly Roger Skateboards: HOT OFF THE PRESS: More 1984 Decks! HOT OFF THE PRESS: More 1984 Decks! We recently almost got cleaned out of 8.5 shop decks so I just printed a batch of (8.5) 1984 Decks to hold us over for a while.